During the EU referendum in the UK in 2016, although Brexit was championed mainly by the right, there was a significant left-wing argument for withdrawal. Stemming from the tradition of social democracy associated with figures like the British Labour leader, Tony Benn, this was primarily geared at showing that the EU was a neoliberal body designed to strengthen a form of capitalism which was broadening inequality and reducing labor power. So what constitutes and differentiates such a positions, termed Lexit by its own supporters, to others?. At the forefront of these was a commitment towards internationalism. For example, the Socialist Workers Party (SWP), the Morning Star and public figures such as Tariq Ali all confirmed a commitment to internationalism. This position was in response to the old Labour Social Democratic tradition that opposed the European Economic Communities. This ‘left-nationalist’ position sees internationalism and globalism as the problem and favors the return of a national struggle of socialism, whereby the British working classes are protected from immigration. Yet, whilst old figures of the left such as Dennis Skinner and Arthur Scargill seemed to favor this approach, many saw Lexit as a vehicle where a new form of internationalism could be built – beyond the confines of ‘Fortress Europe’. The internationalist position, however, never materialised. Instead it has been those on the right-wing of the Labour Party, and vehemently opposed to the leadership of Jeremy Corbyn, that have been associated with EU withdrawal. In keeping with the reactionary fever of Brexit, individuals such as Kate Hoey, Frank Fields and John Mann have looked to re-kindle the nationalist wing of the Labour Party that was previously inhabited with Oswald Mosley in the 1930s before he founded the British Union of Fascists. Lexit was to provide the antithesis to this. Something that would reach beyond the levels of the chauvinistic state and the ‘imperialistic’ EU. Yet, we still remain unclear over what this Lexit actually entails. For some non-statists, this does not necessarily appear to be a problem. In the increasingly relevant environment of autonomist Marxism, the idea that you could see real change – to borrow from John Holloway – without necessarily taking power, suggests that no real vision is required. In this instance, the only point of backing a withdrawal from the EU would be if it left social protest movements with a greater chance of reaching their own objectives. In any case, Lexit would cease to be relevant as a distinctive position. For the main however, we are none the wiser of what a coherent Lexit approach might look like. Lexiters from the SWP and the left-wing newspaper, Morning Star, to those within the Spiked Online/Living Marxism fold all maintain that a withdrawal from the EU must include a withdrawal from all its institutions including the single market and customs union. A Norwegian-style ‘soft’ Brexit along with any EFTA solution are ultimately dismissed as remaining tied to their wider ideological and institutional structures. Therefore a Lexit was one which would somehow look for a clean break from the EU, whilst promoting democracy, socialism and internationalism. 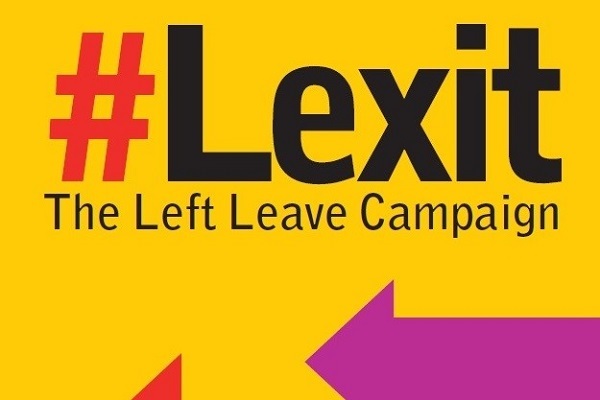 As Brexit itself quickly became one which was an exclusive right-wing debate that pitted nationalist romanticism alongside free market dogmatism, Lexit has increasingly disappeared from view in terms of mustering an adequate response. One only has to consult Arron Bank’s Bad boys of Brexit to realize that for right-wing Brexiteers the purpose of Lexiteers were to appear as ‘useful idiots’ for the leave campaign and would quickly disappear from view as soon as the referendum was concluded. So what have Lexiteers actually suggested should be the way forward post-Brexit? Tony Benn, for example has some strong credentials in this regard. Despite being dismissed as a romantic and being claimed by right-wing Brexiters such as Nigel Farage and Daniel Hannon as one of their own, Benn advocated a number of alternative ideas. His ‘Commonwealth for Europe’ as an alternative for Maastricht was indeed presented to the House of Commons, whilst his Diaries were full of ideas for the development of internationalism and global governance. Modern Lexiteers have appeared far less ambitious in their content, preferring instead to point to the damage that leaving the EU will do to global capitalism in the long run. Thus both the Morning Star and those associated with the SWP point to the greater opportunities for the mobilisation of class struggle when the UK leaves the EU, due to the damage the withdrawal will do to international capital. No more is really added to this. As the right look eager to pursue the dream of – to draw from Bank’s book again – a ‘Singapore on Acid’ alongside a bonfire of regulations with a hard Brexit, thus making any room for renewed class struggle more limited, this response is inadequate. Yet perhaps more inadequacy has come from ‘Lexiteers’ in academia. Academics that supported Brexit from the left have set up websites such as ‘Briefings for Brexit’ and ‘The Full Brexit’ in order to put forward ideas that would give us some idea of what a Lexit would look like. The results of these have been, quite frankly, embarrassing. A collection of ‘ideas’ and ‘recommendations’ are put forward that merely re-enforce the nationalism of the Brexit vote itself. Notions of ‘popular sovereignty’ are merely re-iterations of a re-cycled ‘left’ or ‘progressive’ nationalism that has long been the hallmark of the inward looking left of the post-war era. In some cases, they read as if they have merely mimicked the dominant Brexit line. In arguing how to ‘deal’ with the border in Ireland Ramsey and Bickerton suggestion that Britain should assert its form of ‘popular sovereignty’ to seemingly contain EU’s expansionism reads like it has come straight out of a press statement of the ultra-right-winger Jacob Rees-Mogg. Rather than looking to follow the imaginative innovation of Tony Benn, Lexiteers post referendum have failed to offer any substantial alternative, save to make generalized assumptions regarding what structural damage EU withdrawal might do to the wider workings of capitalism. Costas Lapavitsas is the latest example of this, whose book ‘The Left Case against the EU’ has come at an apt time and looks set to become influential. Yet, this merely re-enforces a nationalist position, both by arguing for the UK to reassert its sovereignty (the undermining of the positioning of the Celtic Nations seems to be one of the many themes that unites Brexiters both left and right) in order to build socialism and by suggested that freedom of movement is ultimately a mechanism for lowering wages and as a result needs to be overhauled. For some Old Labour figureheads, this logic makes perfect sense. The point was always to go back to the sanctity of the nation-state and pursue the left-nationalism of a previous era. For them EU withdrawal follows a path already tread. But Lexit was supposed to resemble something else. It was to embody a new type of internationalism which would open up very real opportunities for moving beyond the neoliberal confines of European regionalism. In reality however, it has produced nothing. Far from looking to break with the structural confines of the EU, the only constructive post-Brexit alternatives from the left have looked to engage with – rather than detract from – the European Economic Area and single market. As a result, we are left to wonder: did Lexit ever have any serious pretensions in the first place capable of providing an internationalist alternative to the EU? Or were they only ever either soundbites, or ones that when examined merely revealed another form of nationalism. Alternatively, maybe we should question whether it ever existed at all? Owen Worth is a senior lecturer in the Department of Politics and Public Administration at the University of Limerick. To read more, see Owen Worth, “Whither Lexit?” Capital & Class 2017.